At CFCS we offer a comprehensive cleaning service to businesses across Cambridgeshire. We offer our services on a flexible basis, from daily cleaning to annual cleaning depending on your requirements. The benefit of having us carry out your cleaning is that we have the equipment and experience to complete almost every type of cleaning from office, window and carpet cleaning through to pressure washing and specialist marquee cleaning. By entrusting the cleaning of your premises to us, you can deal with one provider for all aspects of your cleaning. Our team is well equipped with the experience and equipment to complete all types of work in the most efficient way and with the highest quality of finish. We offer our services across a broad range of industries and premises from shops and offices to schools and wedding venues. We even offer one-off deep cleans and cleaning after damage, such as floods. At CFCS, we can handle every aspect of commercial cleaning and office cleaning, from every day, hoovering and surface cleaning to carpet cleaning and window cleaning. Why use a number of different providers when CFCS can do it all? 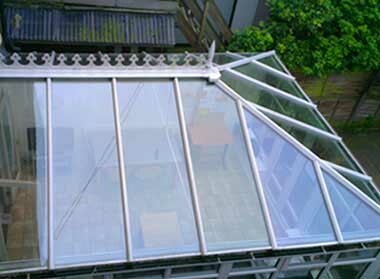 Because we invest in specialist equipment, we can offer a superior quality office window cleaning service with better results than domestic window cleaning. Not only can we clean your exterior windows, but, we can also clean any mirrors, glass partitions and internal windows that you may have. To discuss your office or commercial premises cleaning, please call us on 01223 782 313. We’ll happily meet you in person to discuss your requirements and to provide you with a free quote. By using CFCS for your cleaning, you are getting a reliable, professional, service at a competitive price. As a result of the professional standard equipment that we use, you can be sure that you’ll receive the most thorough clean possible. If you have any questions about the cleaning jobs that we can tackle, please call us or fill out our contact form and we’ll be happy to discuss your requirements. 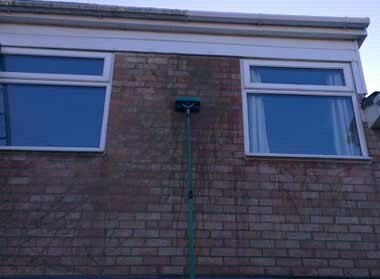 We have a large range of exterior cleaning services for those looking for top quality services at competitive prices. Our passion for providing an excellent cleaning service to the residents and businesses of Cambridgeshire is unmatched. Over the years we’ve worked with numerous companies and homeowners to complete all types of cleaning jobs. Our carpet cleaning and marquee cleaning services have proved particularly popular. 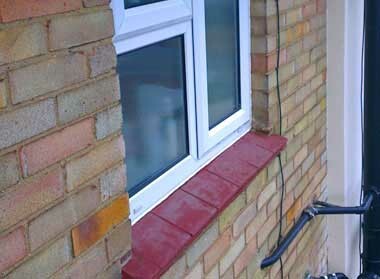 Throughout Cambridge, we have established ourselves as one of the leading cleaning service providers. If you’re based anywhere in Cambridgeshire, we’d love to hear from you. Contact us on 01223 782 313 or by filling out our online contact form.